Trying to find an enclosed trailer for sale in New York? You’ve found your source. 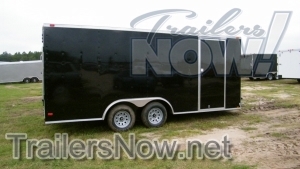 The group at Trailers Now Trailer Sales can save you hundreds, maybe even thousands on your purchase of an enclosed trailer for sale and transport to New York. At Trailers Now Trailer Sales we’ve got enclosed trailers anywhere from 5′ to 8.5′ wide with all the standard features you would anticipate and more. Trailers Now Trailer Sales can fix you up with a brand new cargo trailer for the exact same low cost as a made use of design. Trailers Now Trailer Sales has trailers prepared for pick up in Douglas, Georgia, however we routinely deliver enclosed trailers all over the state of NY, so no matter where you need your trailer, we’ve got you covered. Remember ALL Trailers are located in Douglas, GA and you can save a ton of money by picking it up.. but we understand not everyone can do this, so call us today at 912-292-9877 to set up delivery directly to you! Call us today to talk about your custom trailer!